Mountain cabins in Colorado are a coveted commodity. This year, more than many years past, buyers from New York to Hawaii have been actively searching for summer retreats or year-round mountain cabins. 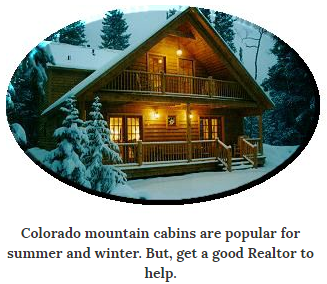 I have been a Colorado Realtor selling mountain homes for many years. 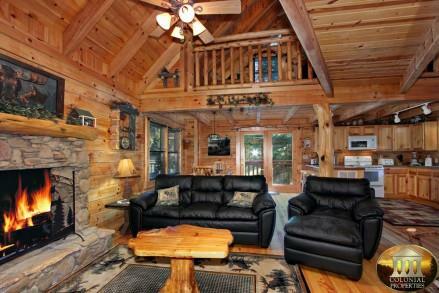 Here is a list of important issues from my Realtor experience buyers should consider before buying a Colorado mountain cabin. 1. Getting to your cabin. Research the land around you. Do you have permanent easement allowing you to cross other properties to get to your cabin? 2. Does the cabin have access to utilities? Many people want a remote location and choose to use solar power or generators, still a buyer should understand what it will cost to (hook-up) to public utilities. 3. Research access to water. The State of Colorado has issued well permits for nearly 100 years. While not all the information is accurate, these hardworking people will help you do much of the necessary research about past ownership, original drilling, location, and much more. The state website is water.state.co.us. Be sure to have the water quality and production rate tested. 4. Understand septic systems. Whether you spend $10,000 or $10,000,000, septic systems are part of living in the mountains. The county issues septic permits, and regulate the integrity of septic systems by requiring certification prior to sale. Each system is rated for the number of bedrooms in the home (not bathrooms). Older properties may not have permits. 5. Property Insurance. Colorado has experienced many fires and floods in recent years. The cost of replacement is staggering and has made property insurance a hot button that has Colorado officials and insurance companies driving up the cost and standards for property insurance. Is the property in a flood plain? Does the property meet standards of a fire perimeter? Know what the cost of insurance will add to your monthly payment. 6. Building Permits. Has the home owner acquired the proper permits for home improvements? Check with the county to see if the improvements performed meet standards for permits. Ask the homeowner for a list of contractors and/or work performed during their ownership. 7. Get a survey. If the owner doesn't have a survey or plat map (many don't), the cost of a survey will be on the buyer. If you ever plan to put up a fence or expand your cabin, this is an important piece of your research. 8. Get a Mountain Area Real Estate Specialist who will help you assemble this critical data. A good mountain Specialist will have access to private listings in addition to the public MLS. I am, of course, that specialist but there are other Realtors whose experience and training can keep you from making a huge mistake. When buying a mountain home there are unique considerations. In this case, an ounce of prevention is truly worth a pound of cure.